The Writing Bomb: WHAT THE HELL'S AN AUTHOR PLATFORM ANYWAY? WHAT THE HELL'S AN AUTHOR PLATFORM ANYWAY? If you're a writer, I'm sure you've scratched your head and asked, "What the hell's a platform anyway?" If so, you're not alone. The question comes with the territory. You send out your query letters, hoping that a website and writer's group is enough to qualify for the ever coveted platform...whatever. I struggled with the idea of a platform for the longest time. And honestly, it sort of pissed me off that as a newer author I was expected to have a platform. Really? I just finished writing a novel. Isn't that a good enough platform for ya? Huh? Hell, I don't know anyone in my circle of family and friends who've written a novel. That's a pretty big deal don't you think? And now you expect me to have an audience of hundreds, and even thousands. Get a life. That was then...this is now (9 months later). I have sincerely swallowed those words several times over. In the course of my writing journey I've learned that your platform is absolutely critical to a writer with long term writing objectives. So how do you get on? Where do you you find it? Can you buy it? Rent it? No. You have to build. A platform is simply the way you reach out to your readers. Like many authors, I learned that by default, or as we say in the trade, by screwing up a lot! Over the course of the last nine months, yes I said nine months. You heard right. I did not have a platform nine months ago. I had a book, a few family members and some friends who were sure to read it, but like many of you, I was starting from scratch...as in peel off the skin, muscle, and veins and that's where you'd find me, scratching the bare bones of my audience. While looking up from that vantage point, I learned that every writer seemed to be doing his or her own thing. A platform, from my perspective, appeared to be vague and unattainable unless I had the readers first. This platform thingy was really confusing. I had no idea from whence would my readers come? Ahhh, that's the trick. But wait. Building your platform really isn't a trick. It's work. From my experience, a good structure needs a solid foundation. And since, I had set out to build a platform, the foundation was the first thing. I built. I decided to establish a presence at Goodreads, Twitter, My blog and Facebook. Great. I had a starting point. Still no followers other than my fam and homeboys. With the four corners of my platform standing, I decided to spend a little time at each post on a regular basis. I wrote blog posts once or twice a week. I tweeted a little everyday, posting #novelines, retweeting, and meeting folks. I posted pics, covers and had contests on Facebook, and I started friending peeps on Goodreads. Days turned to weeks and weeks turned into months. And pretty soon, I had 50, then, 100 followers. Books were selling. I kept writing. I kept revising. I kept updating my profiles and blog page, adding content that was relevant and helpful, and then it hit me. I was doing it. The walls were up. The windows were supported with cripples, and the decking was on the rafters. For the first time I could see the structure...my platform was taking shape. Sound familiar? It should. But that's not all. I realized that the more readers I met and the more writer friends I made, I couldn't possibly retweet them all. I couldn't "Like" every one's posts, and book pages, and God help me, I couldn't read four books a week. I had to make my platform really work for and for my readers and for my writer friends. I needed to put some wheels on my platform. I needed an engine that would run on auto pilot. Or better yet, on solar power. Can you imagine the light bulb shining over my head? Trust me, it was there, because that's when the lights came on. 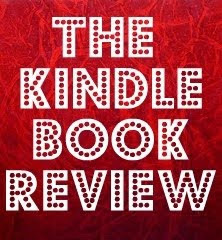 That's when I conceived of The Kindle Book Review... another blog. Shah. I couldn't imagine another blog either, but this idea really got my wheels turning. The Kindle Book Review is my ultimate platform. I connect with readers daily. I meet new authors and help them get noticed and I have a wonderful crew of reviewers as powerful as a team of horses. So far the motor is running smooth as silk...nine months later. What about you? At what point are you at in the building process? 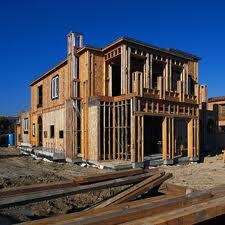 Are you pouring concrete or framing walls? If you're not sure, that all right. You'll get there, but like any building project, it will take time and you will sweat. You''ll hit your thumb with a hammer a few times and you might even fall from a ladder a time or two, but you'll get there. There are many blue prints available, but only you can find the plan that works best for you. Some writers write reviews. Some writers interview authors. Some authors do a lot of retweeting, hashtag building, writer chatting, book clubbing and what not. No matter how you construct your platform, build it plumb and build it on the level. Make it unique to your personality and keep it fun, because doing this writer platform thingy is too much work to bother with if it isn't enjoyable. So...have you got your hammer? What about your nail pouch? Good. I can't wait to see what your building. BOOM! 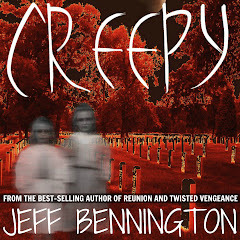 Jeff Bennington is the author of Reunion, Creepy and Twisted Vengeance (coming very soon). You can find great books, and great authors who are getting great reviews at The Kindle Book Review. It's an even tougher job for those of us who are not at all outgoing. I sometimes think the advantage is moving toward the more social writer and away from the stereotypical recluse who stays at home and finds reaching out to folks a challenge. 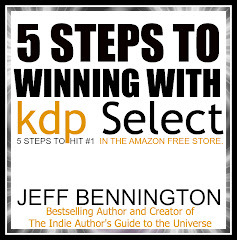 This is a must read for all indie authors! Cheers! @Amber~ You go girl. You have the right idea. Too many authors write and publish and then look around and wonder why no is waiting in line to buy there next book. Please see my previous post on how to succeed in self-pubb'ing. Write. Revise. Edit. Cover. Repeat. @Sabrina~I so understand where you are coming from. I am that person. That is why I am more content focused in my platform. If you look at my twitter account, @TweetTheBook, you'll see less talk and more tweeting of books, blog articles etc. I'm sort of a mixed breed, however, in that sometimes I can be very social, and sometimes I'm very RECLUSE. Thanks for reading. @Stacia~ Thank you. I appreciate your comment and support. I have a few other posts that I think are critical to newer authors. Feel free to share those anytime. I have Twitter, Facebook and two blogs. 5 months ago I had nothing (and I sure as hell didn't WANT anything) so I've come a long way. Fortunately I have been enjoying the ride. @Sabrina I am a certified introvert. I am the one who says 'no' when my husband asks me to go out and socialise (with people I know for god's sake!). But online it's different. I can be who I am (and I am offline as well but with a smaller audience it's harder to find people who appreciate it) and people can take me or leave me as they like. Perhaps I've been fortunate that a lot of people have been happy to take me as I am. In fact I have found MORE appreciation for who I am online than I ever did offline. It has been a journey that has taken over five years for me. My editor told me early on to revisit the same setting and develop reoccurring characters so that readers can identify with them. With the social media sites, a move to eBook distribution and a more active blog we're starting to see a lot of advancement---plus we've got five books under copyright. It was a dream I never thought would occur. However, it's all on the author's shoulder. This blog could not have come to me at a better time! :) Thank you! I'm still trying to build my platform. I see some people build small presses, some review books like you, others organize writing events ... I guess time will tell where I go. @Jaidis ~ I'd love a link to that post. I could add it to this one and send readers there for additional info. @James ~ Thanks for visiting. It seems to me that managing a platform with more books would take a lot more work. Do you find that to be the case, or not? @Diangomez ~ I'm glad to help. I hope you get to scroll through the older posts. 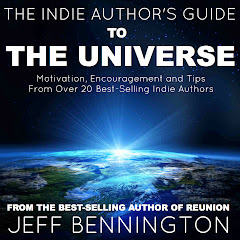 I have quite a few help posts to motivate and equip newer indie authors. @Caroline ~ Thank you for all of the above. I hope you get a chance to submit one of your books to The KBR. Imade that site because of the many fellow authors like you that have given me wonderful reviews...but I just can't return the favor to all of them....at least not as fast as I'd like to....You see...I don't do the reviewing...I have about 16 reviewers that do it. They rock. @Laura ~ Hi. Thanks for stopping by and joining the conversation. I hope you discover what you like best about publishing and run with it. Come back sometime and tell how you're progressing! Alas, when I think writing platform I think of a timber platform in a tree with a comfy chair, a block of A4 paper and a pen up there, and a rope ladder I can pull up behind me so that nobody can climb up and distract me. HELP ME CHOOSE MY NEXT BOOK COVER.